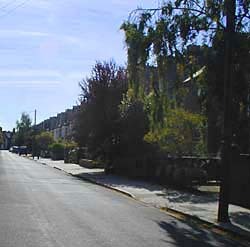 The Mill Road area was recently described as “The new Islington,” with its vast array of restaurants, pubs, and “local” shops. It is a street in which one can buy anything “from a bath plug to a car!”. The array of restaurants is also astounding. In Mill Road one can find some of Cambridge’s best Indian food, a French Bistro, a North African restaurant, as well as Turkish, Italian, and Chinese restaurants and noodle bars. There are also plenty of local pubs – including the well-known Cambridge “no-smoking and no mobile telephone” pub. One can find almost anything in Mill Road from antiques, bikes, clothes, books, electrical supplies, second hand shops, internet cafes, hardware stores, and wine shops, to an herb shop, a wonderful delicatessen, an excellent health shop, and many exotic grocery shops of all kinds.